•	Feasibility Studies for technical purposes. 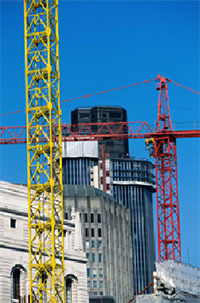 •	Construction drawings preparation: Architectural, Structural, Mechanical, and Electrical. •	Preparation of Documentation: Pre-qualification tender. •	Contract and offer evaluation and reports. •	Monitoring Progress and progress reports. •	Full supervision of projects. •	Finalization of as built drawings for records and maintenance. •	Presentation of design briefs and reports. •	Site surveys and appraisal of existing structures and facilities. •	Final design and report. •	Technical evaluations and analysis. •	Preliminary and final design preparation. •	Structural Analysis including 3D analysis. •	Building design in reinforced concrete and structural steel head to bottom including earthquake design. •	Planning, development, design, and supervision of the structure from A to Z. •	Construction management concepts are usually applied where large projects are involved; the company takes pride in its CM programs. This service is offered and provided upon request. 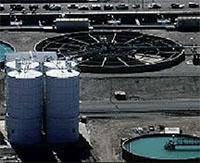 •	Seven potable water treatment plants. 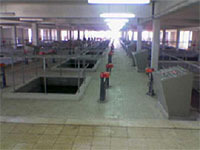 •	Maintenance of wastewater treatment plants. •	More than Sixteen primary pump stations. •	More than100 Km. of water mains ranging from 100 mm to 1000mm in diameter. •	We are currently constructing steaday wastewater collection and treatment systems for the same client. •	Primary and secondary pumping stations. •	Flow and monitoring stations. •	Flood control and irrigation facilities. •	Tunnel Inlet/outlet tower Saddle dam. •	Design and supervision of plant projects, boiler plants, and auxiliaries. •	Integrated design of HVAC services. •	Design of piped services. 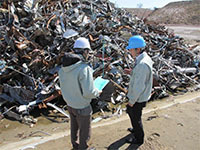 •	Design and supervision of mechanical handling facilities. •	Design and supervision of house power works. •	Studies and surveys of existing electrical and telecom systems. •	Design of power stations and generating plants. •	Provision of plant services and systems control..
Environmental Regulation in the Industrial Sector is progressively internalizing the cost of environmental pollution control and rational use of resources. This will exert further pressure on the economic feasibility (cost/benefit ratio) of industrial activity which, in turn, will determine the relative position of the industry; it’s share of market and it’s accessibility to natural resources. All these considerations call for strategic response on the behalf of industry, where planning tools and technological solutions have to be efficiently and effectively utilized in enhancing the industry’s economic and environmental status. This service is included with the architectural design but is also provided as a separate service whenever required. All projects are presented with a 3D perspective which gives the client a clear picture of the project outcome. This service includes an animated view of the project covering all angles, along a walk through animation of the project when ever requested. 3D modeling and animation is also provided as an independent service if requested.